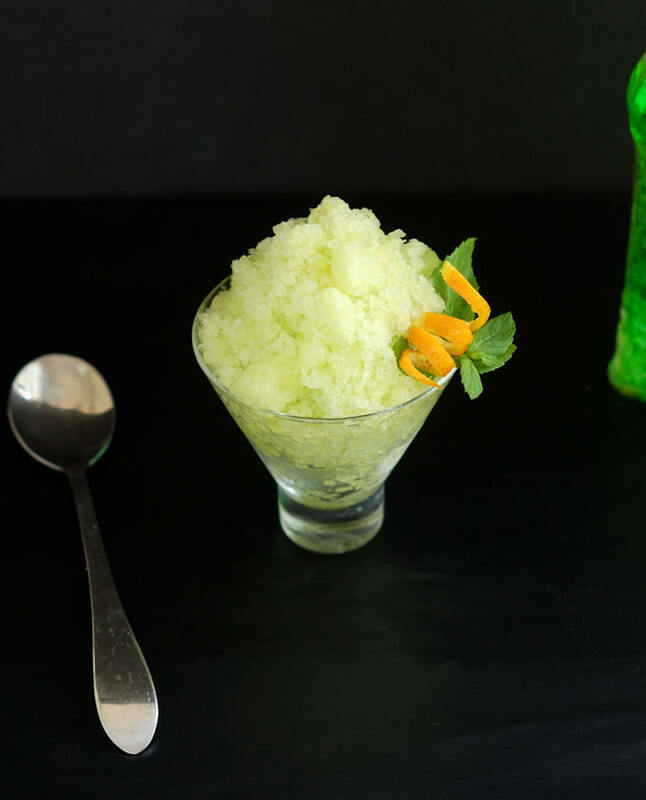 Melon Granita is like a snow cone for grown ups. You can turn fresh honeydew melon into a refreshing frozen treat, and you don’t even need an ice cream maker to do it. Granita is a frozen treat which originated in Sicily. 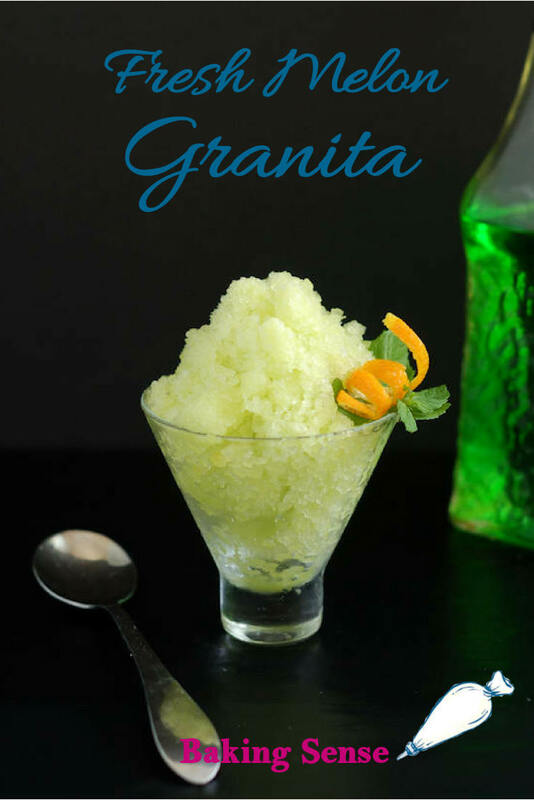 The word “Granita” comes from the Italian “granito”, meaning “grainy”. Now, when we’re making ice cream or sorbet, grainy is exactly what we’re trying to avoid. We want ice cream to be as smooth as possible and we want sorbet to be more slushy than grainy. 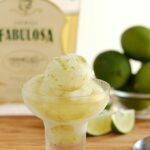 When making Granita, we embrace the icy texture to create a different type of dessert. Granita is so refreshing precisely because it is icy and a bit crunchy. We don’t use an ice cream maker for this recipe. As I explained in the Brown Sugar Ice Cream post, we use an ice cream maker make a frozen dessert with very, very tiny ice crystals, which creates a creamy texture. 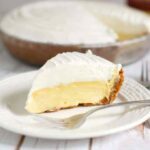 For this recipe all you need is a some room in the freezer and a metal baking pan. You’ll pour the granita mixture into the pan and set it into the freezer. Every 30-60 minutes you take the pan out of the freezer and use a fork to scrape the partially frozen bits through the unfrozen juice. This scraping is doing something similar to what the ice cream machine does. By scraping you’re breaking up the frozen bits of juice into smaller crystals. But, relative to the crystals created with an ice cream machine, they are much larger so the texture is chunky. As you continue to freeze and scrape the granita, you’ll find that it gradually goes from juicy to slushy and finally the texture will become almost fluffy. 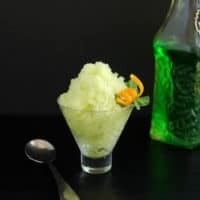 The flavors in this granita were put together to mimic the classic “Melon Ball” cocktail. 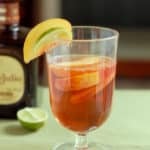 The hint of melon liquer enhances the melon flavor and lowers the freezing point of the water in the mix just a bit. The hardest part about making this recipe, honestly, is finding a good tasting melon to start with. I never know until I actually cut and taste the melon if I’ve got a good one. The week before I made this recipe I had a fantastically juicy and flavorful honeydew melon from my local market. I went back to the same market and bought another of the same type of melon. Unfortunately, when I cut the new melon it didn’t taste nearly as good. So to improve the flavor I added a little extra sugar and melon liquer, and I added a little lemon juice to spark the flavor. 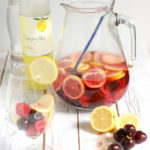 Whenever you’re working with fresh fruit you may have to adapt the recipe a little to get the best flavor. 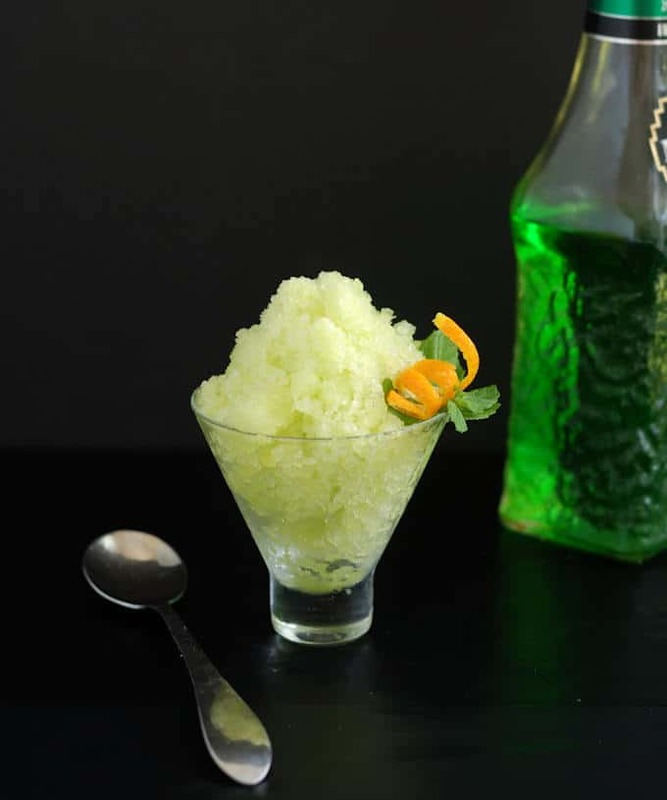 Watch the video to see how to make Melon Granita. Melon Granita is like a snow cone for grown ups. You can turn fresh honeydew melon into a refreshing frozen treat, and you don't even need an ice cream maker to do it. In a blender or food processor, puree the the melon with the orange juice, sugar and Midori. Taste the mixture. Depending on the flavor and sweetness of the melon you can add sugar, lemon juice or Midori as needed to perk up the flavor. Pour the mixture into an 13"x9" baking dish (preferably metal for quicker freezing). Set the dish in the freezer. 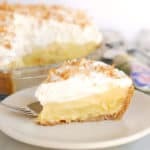 After 30 minutes, remove the pan from the freezer and use a fork to scrape through the mix and break up the ice that has formed into smaller pieces. Return the pan to the freezer. Repeat the procedure every 30 minutes for 3 hours until the granita is completely frozen with a granular texture similar to a snow cone or shaved ice. 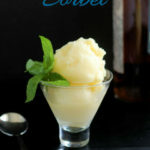 To make sorbet instead of granita run the mixture in your ice cream machine according to the manufacturers instructions.